Aran Biomedical implant covering solutions extend to a range of applications in the ever growing endovascular market. Offering both high density woven textiles, PTFE implant covering and polymeric coating, Aran Biomedical can address conventional and next generation stent graft solutions for Abdominal Aortic Aneurysm (AAA) repair, as well as the complimentary covered stent solutions for the associated fenestrated and iliac arteries. 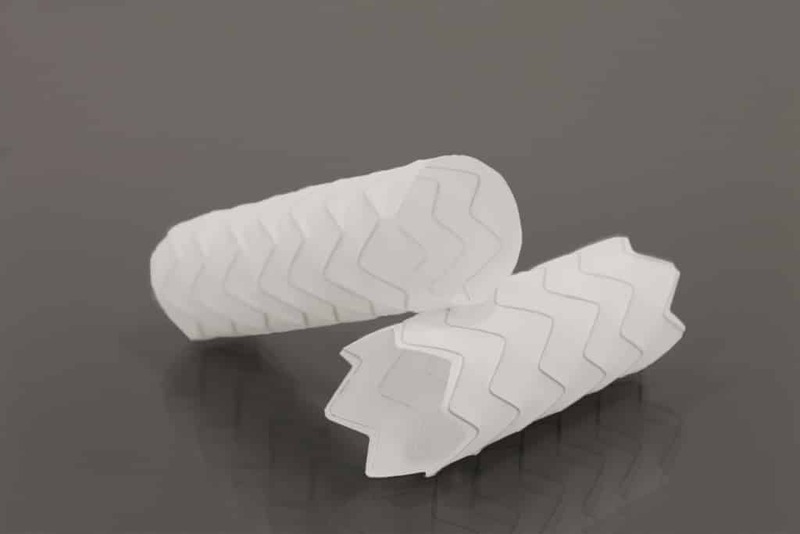 Aran Biomedical offers PTFE encapsulation services for stents and grafts. 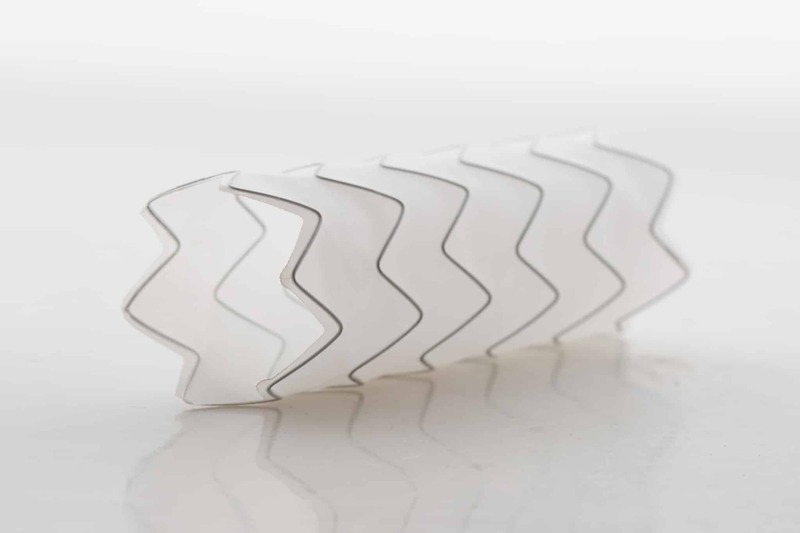 The company has significant expertise covering even the most challenging geometries, including conical, flared and double flared stents, where frame designs aim to integrate with endovascular grafts. 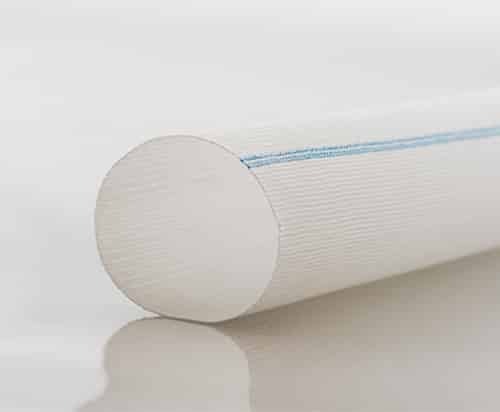 PTFE covering wall thickness can be as low as 40 micron (0.0016″), reducing the impact to sheath size when moving from a bare metal design, while the ends can be laser processed to contour around the strut geometry. Along with providing woven medical grafts for the endovascular market, Aran Biomedical’s expertise also extend to knitted stent graft fabric for surgical implantation. Ribs and other features can be integrated into the fabric to improve its ability to conform and reduce propensity to kink. The fabric can also be coated in resorbable/ non-resorbable materials to improve impermeability characteristics. For more information on Aran Biomedical’s textiles and biomaterials range, check out the medical textiles guide. Woven polyester fabric is a well established method for covering stent grafts. Aran Biomedical can produce high density, low profile, woven fabric applicable this type of application. Additional capabilities such as elastomeric coating and PTFE encapsulation, can also facilitate design innovations for next generation devices.